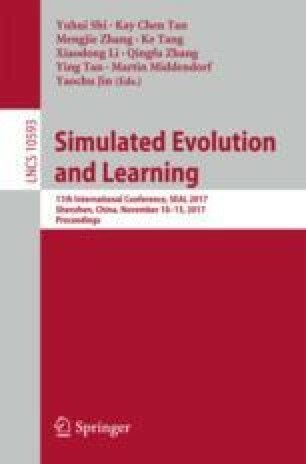 Visualizing a high-dimensional solution set over the evolution process is a viable way to investigate the search behavior of evolutionary multi-objective optimization. The parallel coordinates plot which scales well to the data dimensionality is frequently used to observe solution sets in multi-objective optimization. However, the solution sets in parallel coordinates are typically presented by the natural order of the optimized objectives, with rare information of the relation between these objectives and also the Pareto dominance relation between solutions. In this paper, we attempt to adjust parallel coordinates to incorporate this information. Systematic experiments have shown the effectiveness of the proposed method. This work was supported in part by the National Natural Science Foundation of China under grants 61432012, 61329302, and the Engineering and Physical Sciences Research Council (EPSRC) of UK under grant EP/J017515/1.